Ending hunger requires long-term, sustainable food production systems and resilient agricultural practices. The indicator refers to the value of production per labour unit operated by small scale producers in the farming, pastoral and forestry sectors. Data will be produced by classes of enterprise size. Ending hunger requires long-term, sustainable food production systems and resilient agricultural practices. As of 2016, it was estimated that, globally, 52 million children under the age of 5 suffered from wasting as a consequence of food shortages. Developing efficient and robust food production programs to boost agricultural productivity is essential to maintain food supplies, increase incomes for poor and vulnerable groups, and feed the planet. By tracking the volume of production per labour unit by classes of farming/pastoral/forestry enterprise size, data collected for indicator 2.3.1 would enable governments to shape, prioritize, and invest in policies and measures that effectively boost agricultural productivity, drive economic growth, and eliminate hunger in particular for small-scale food producers, including women, Indigenous Peoples, family farmers, and pastoralists. How is it being monitored? Data and infomaton on rural income, livelihoods, and labour inputs is scarce in many countries. Moreover, there is no established methodology or repository for systematically organizing this data and information. According to the metadata document, FAO has been working on computing the indicator for nine developing countries in Asia, Africa and Latin America, based on data collected from the Living Standards Measurement Study- Integrated Surveys on Agriculture (LSMS-ISA) surveys. Results have not been disseminated yet. Sources of information would be either agricultural surveys, or agricultural modules in integrated household surveys (e.g., LSMS-ISA) organized by the national statistical agencies, with the necessary support from the World Bank, FAO and other international agencies. 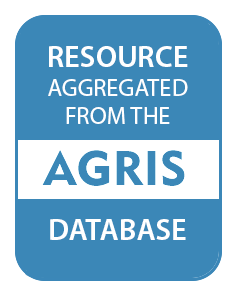 According to the metadata document, FAO Statistics, in collaboration with IFAD and the World Bank, are working towards the establishment of a harmonized program of Agricultural and Rural Integrated Surveys (AGRIS) that could form the basis for the collection of data on this, as well as on several other SDG indicators for the agricultural sector. Share (%) of Agricultural Value added with respect to the Total Value Added produced in a given country in a given year. The indicator measures the average size of holdings (in hectares) in Lao. The data comes from the Lao Census of Agriculture 1998/99 and 2010/11. Share (%) of female employees in agriculture with respect to the total of female employment. Employees are people who work for a public or private employer and receive remuneration in wages, salary, commission, tips, piece rates, or pay in kind. Land used permanently (five years or more) to grow herbaceous forage crops through cultivation or naturally (wild prairie or grazing land). Monitoring the crop yield is one of the key factors to define agricultural land management strategies. Recent developments in spatial information technologies enabled cost and energy saving in crop yield prediction. The aim of this paper was to predict yield of the three major crops and yield loss under soil salinity effect which is one of the most important limitation in many Mediterranean countries. Crop yields were estimated using vegetation indices and Stepwise Linear Regression (SLR) derived from Landsat (Thematic Mapper and Enhanced Thematic Mapper) TM/ETM satellite images. Although the traditional rice–fish co-culture system (RF) efficiently uses water and land resources, provides food security, and does not harm the local environment, it requires improvement because of its small scale and low fish yield. We therefore determined whether fish yield in RF can be increased without increasing nitrogen (N) loss into the environment (i.e., the risk of N pollution) by management of N inputs. As the demands for food, feed and fuel increase in coming decades, society will be pressed to increase agricultural production - whether by increasing yields on already cultivated lands or by cultivating currently natural areas - or to change current crop consumption patterns. In this analysis, we consider where yields might be increased on existing croplands, and how crop yields are constrained by biophysical (e.g. climate) versus management factors. This study was conducted at the global scale. The impact of soil conservation adoption on yield and yield risk is investigated using a conditionally heteroskedastic production function with endogenous switching. Analysis shows that controlling for plot-specific factors, adopters exhibit lower yields and higher yield variance than non-adopters. Regression results indicate soil conservation increases yields and reduces yield variance. The relationships between water yields of tributaries and coverage of different vegetation types in the corresponding sub-watersheds were investigated during the wet season in the Heishui River Valley, located in the upper portion of the Yangtze River in western China. Stable isotope analysis was used to calculate the relative contributions of the tributaries to water yield in the main stem of the Heishui River, while relative coverages of the different vegetation types were calculated from classified Landsat 7 TM satellite images of the study area. Imagine a world where sustainable development is no longer an oxymoron, one where the Earth is economically and ecologically stable and food and energy needs are met. It’s a place where habitats are preserved and pollution is limited. Don’t worry – you’re not alone if you can’t. But according to a recent study published in The Ecological Society of America, this vision is not just imaginable, but it’s attainable. And by 2050 no less. AS the world’s population surges towards nine billion by midcentury, food production has failed to keep pace, creating rising food shortages and a global food crisis ahead, according to the United Nations. To avoid mass starvation, the world needs to produce 70% more food by 2050. THE Zimbabwe Agricultural Society (ZAS) has admitted agricultural production in the country has been on a downward trend and on Tuesday announced it would introduce a new section aimed at encouraging farmers to improve their yields. Internationally established methodology or standards is not yet available for the indicator, but methodology/standards are being (or will be) developed or tested.